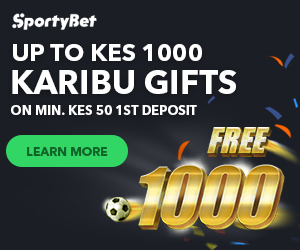 Sportpesa Todays Games 10-07-18. Everything is at stake as Cork City and Legia Warsaw meet in the Champions League first round qualifiers. Cork City finished on the 1st position on the 2017-Republic of Ireland premier division table with 76 points after playing 33 matches with 24 wins 4 draws and 5 losses. Their last match played they managed a 3-1 win to Shamrock Rovers on a home ground match. So far in that season they have scored 67 goals for (GF), conceded 23 goals against (GA) and have remained with a goal difference (GD) of 76 goals. Legia Warsaw having played 37 matches finished at position 1 with 70 points in this Poland Ekstraklasa 2017/2018 Championship Round. They have won 22 times, drawn 4 times and lost 11 game. Their last game played against Radomiak Radom they drew 0-0 an away game. So far in this season they have scored 55 goals for (GF), conceded 35 goals against (GA) and have remained with a goal difference (GD) of 20 goals. WHO TO WATCH: G. Cummins is the leading top goal scorer for Cork City with 12 goals. G. Buckley has the top most assist and they will both feature in this game. WHO TO WATCH: Arsenal fans will recognize the skilful Eduardo in attack, and he too will playing for the visitors in this first leg clash. The hosts advantage is that their domestic league is well underway, meaning that their players have match fitness against the Polish side who league in break. Legia are the better team in this match and they have had an edge over the Irish teams and thy have a habit of knocking Irish opponents out of this competition with both St Patricks’ Athletic and Dundalk having fallen by their hands.